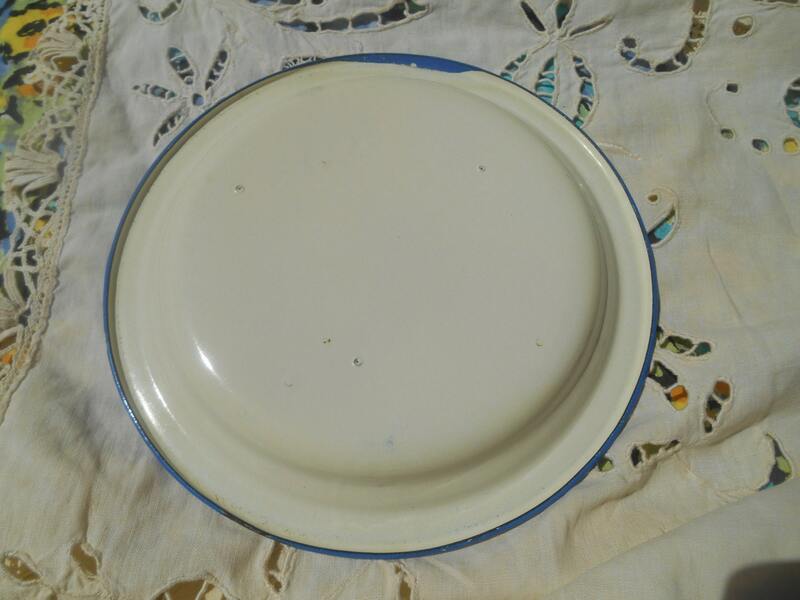 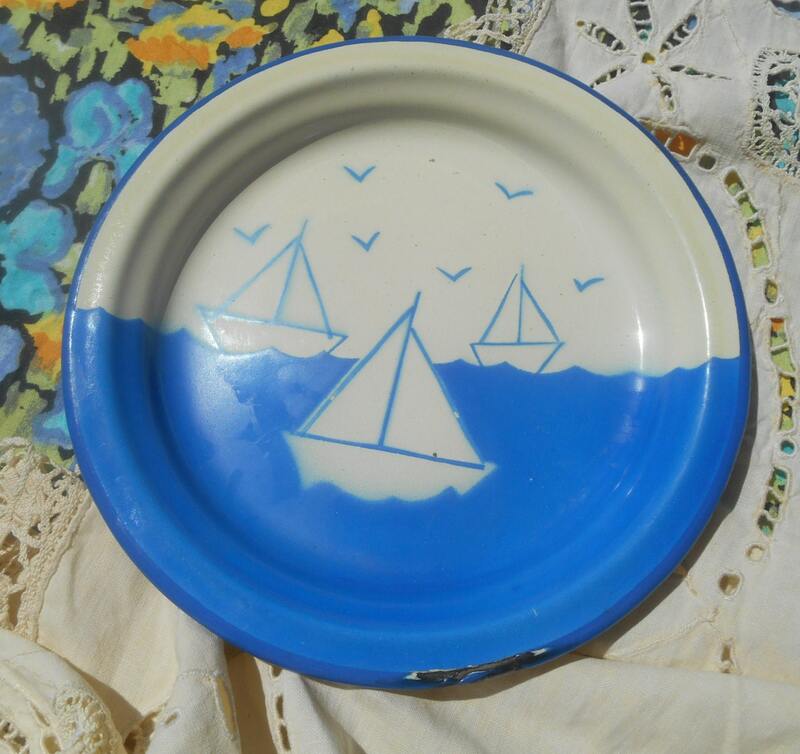 Original Sailing Boats Enameled Plate.Vintage 60's blue and white enameled plate. 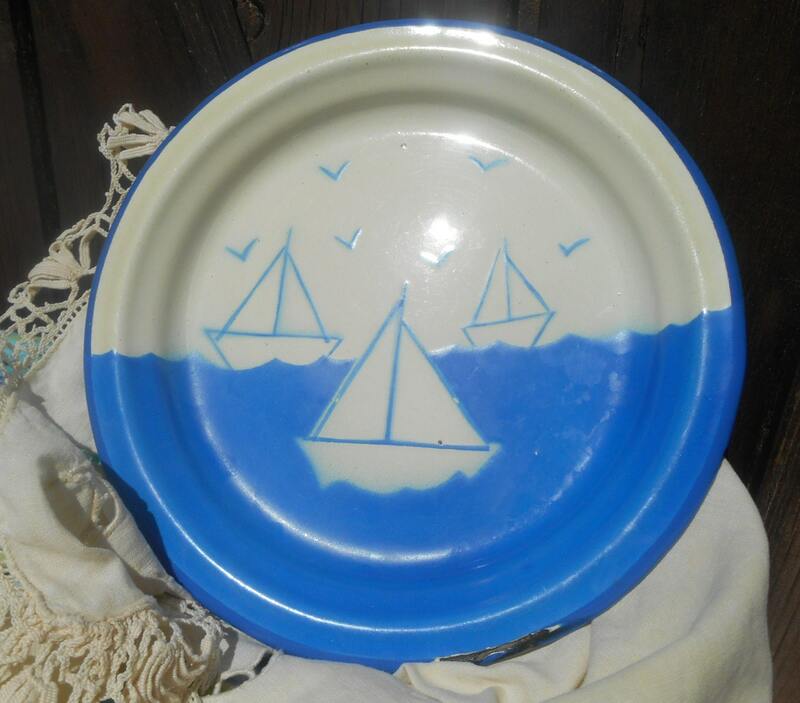 Really lovely Vintage Home Decor for Sailing Boat lovers. 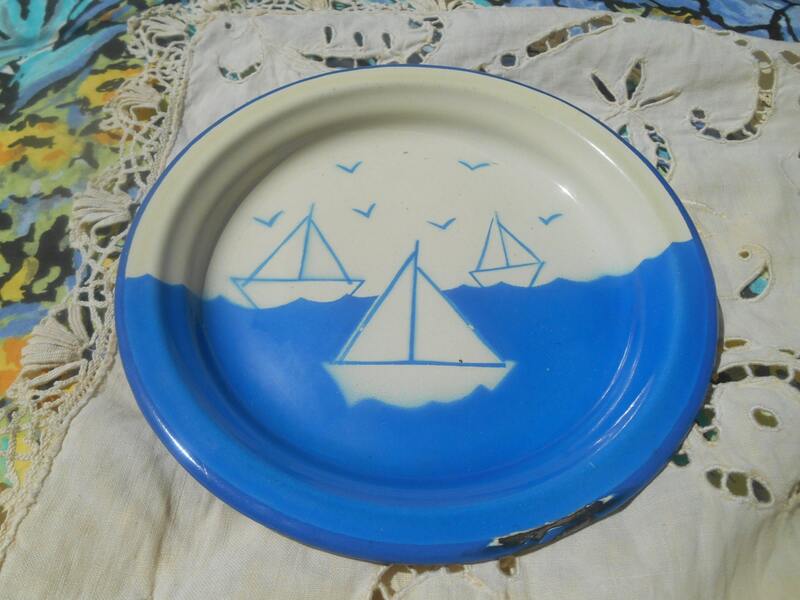 Good Vintage condition with an edge painting chip. 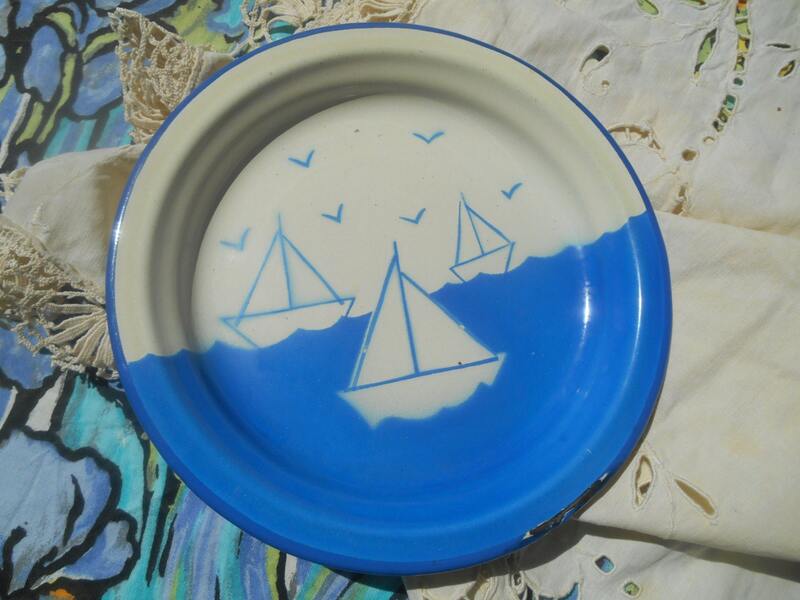 Fantastic and very original to decorate your Home.